Specification: Double Glazing, Central Heating, Aspect front French Doors. Specification highlights: Lounge with freestanding sofa seating, coffee table with upholstered cubes, contemporary electric fire with wood-framed fireplace, entertainment unit facility. 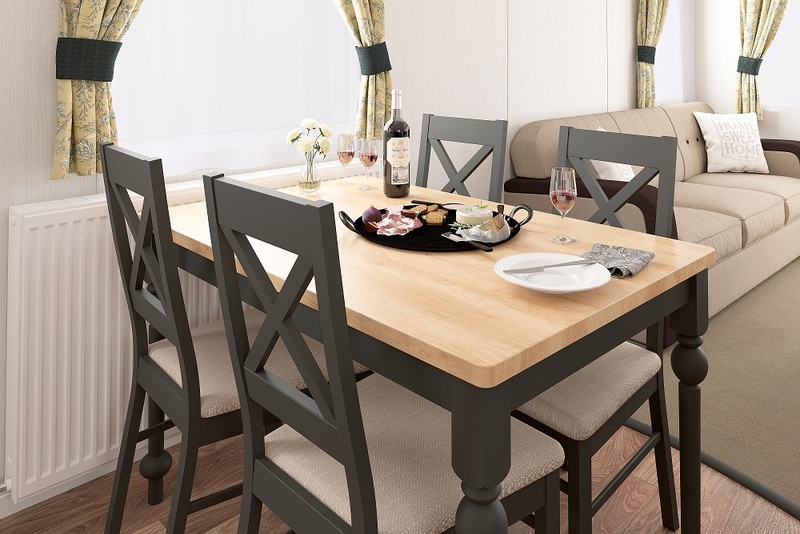 Dining suite: dining table with 'Toulouse' wood top and 'Halifax Oak' legs, 'Rochelle' dining chairs in 'Riverstone'. Designer inspired fitted kitchen with white resin bowl and drainer, brass-effect tap and porcelain handles. Roller blind in 'Carnival Buttercup' and feature brass-effect pendant light fittings above the central worktop. Integrated appliances: fridge-freezer and microwave. Family shower room: large shower cubicle with topper, bathroom extractor fan and LED vanity lighting. 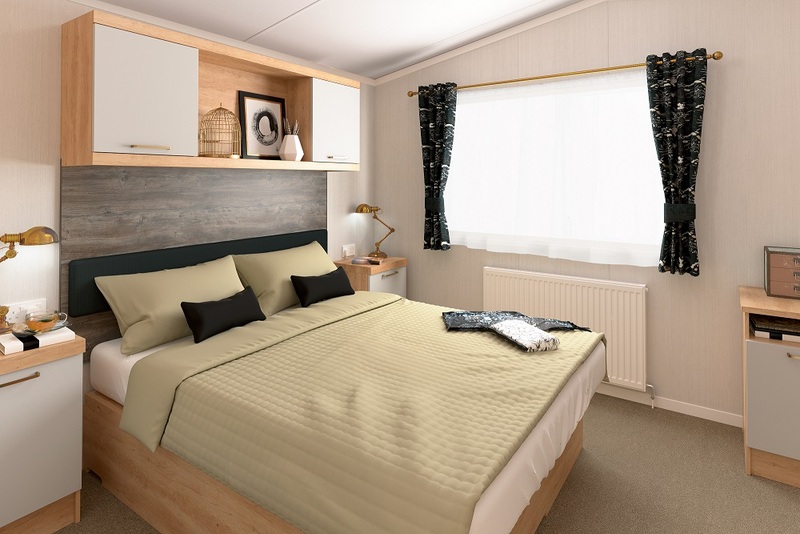 Main bedroom: King-size bed with Duvalay mattress and lift-up storage facility, upholstered headboard, bedside units with under locker LED strip lighting. 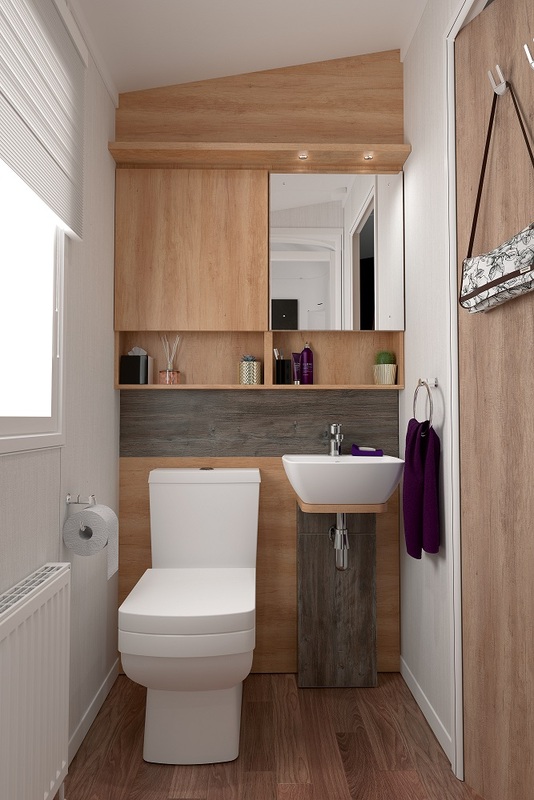 En suite facility. 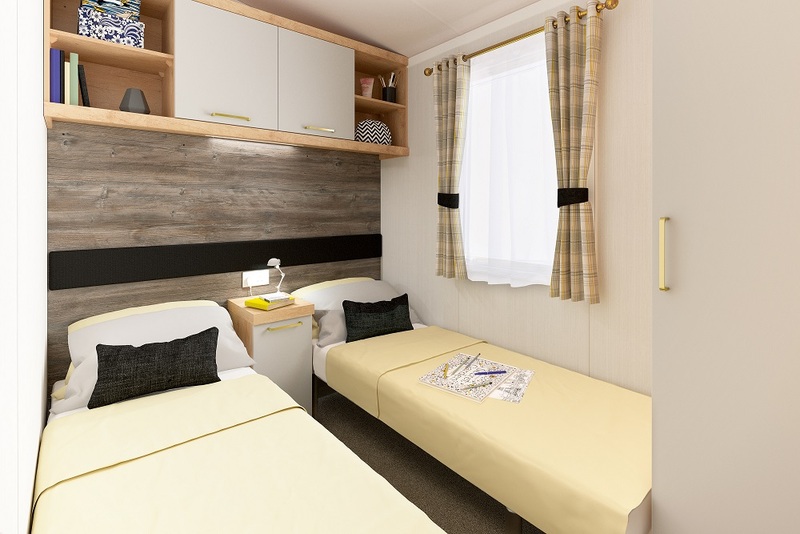 Twin bedroom: 2 single beds with Duvalay mattresses, bedside unit, upholstered headboard and under locker LED strip lighting. Fitted wardrobe and vanity area with socket. TV points in both bedrooms. Brass-effect curtain poles add style to this specification. 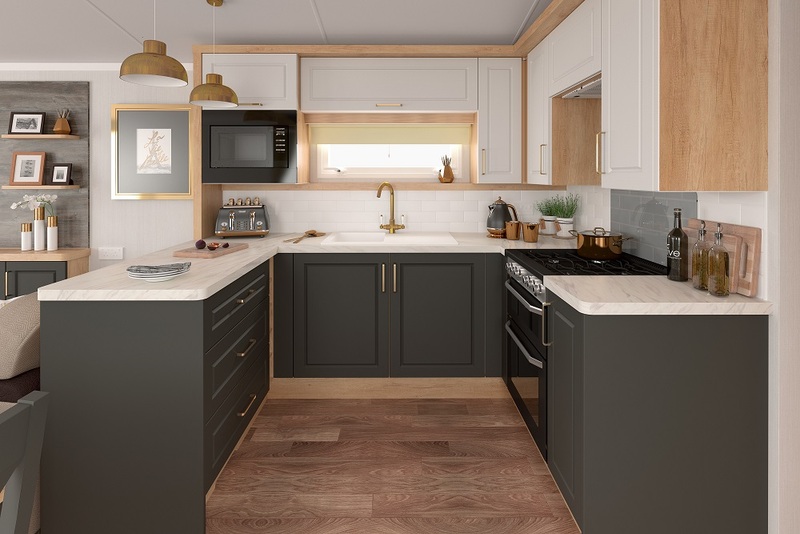 A homely design with lots of added luxury included as standard. 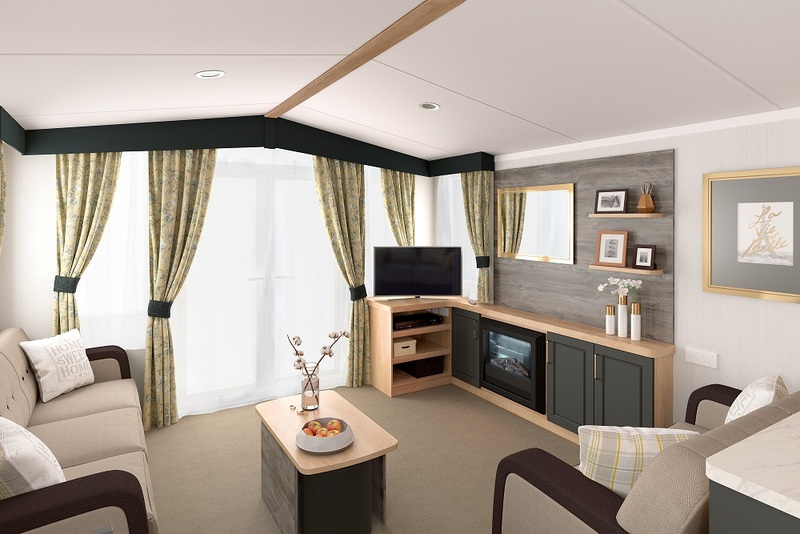 Coast and country Holiday Parks can be recommended to locate the Swift Bordeaux.